Learn how to make a mosaic pieced quilt with this adorable little crab! 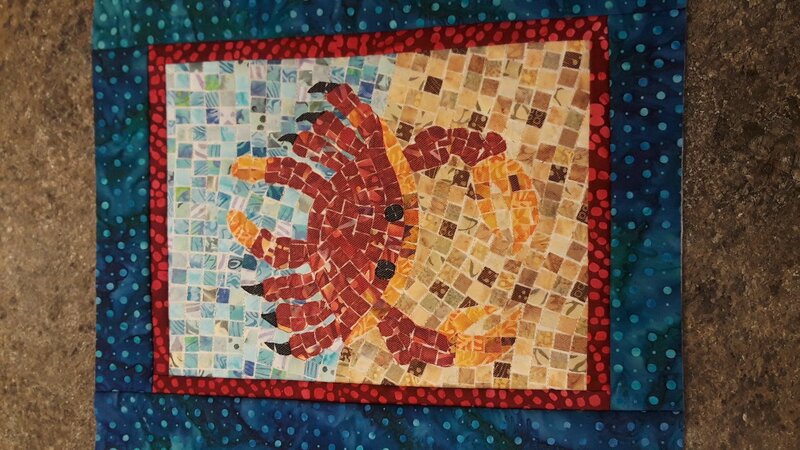 The Salty Mini Mosaic quilt pattern offers a low sew technique developed by Cheryl Lynch. Instructor: Kris. Saturday, March 9, 2019. Time: 10:00am to 3:00pm. Cost: $40. Please call the 540-786-2289 to register.